A sparkling line-up of world-class exhibitions and spectacular performances are set alongside centuries-old traditions and colourful festivals, with Rome’s historic architecture and ancient ruins a stunning backdrop. All this makes Italy’s capital a captivating place to visit at any time of year. Here’s our guide to the city’s best upcoming events. Pooling works from 140 artists in a 200-strong collection of photographs, architectural projects, performance and film, MAXXI draws on the buzzing inspiration of street life for its newest exhibition. The Street. Where the World is Made is an innovative multi-textured, full-flavoured riot of sound, colour and aesthetics, which widely explores the grit, shadow and ultimate beauty of real life in the city. Modestly slotted into a quiet cloister garden is Italian sculptor Antonio Fraddosio’s site-specific The suits and the steel. Sturdy rusted steel boxes frame torn and twisted metal plates, a parody of the protective suits worn by workers at ILVA. The installation is dedicated to the ILVA employees who have suffered at the hands of this large and controversial steel corporation. The world’s tennis heavyweights converge in Rome for a fresh round of the Internazionali BNL d’Italia, aka the Italian Open. Last year, Rafael Nadal pipped Alexander Zverev to the men’s singles post, winning his eighth Golden Racket, while Elina Svitolina trumped world champion Simona Halep. Secure some courtside seats to witness 2019’s champions in the making. Duck out of Rome’s heat and hustle to experience an explosion of fragrance and colour. The Hanging Gardens at the Auditorium Parco della Musica are replete with summer blooms and foliage for the Festival del Verde e del Paesaggio. Explore state-of-the-art garden designs and contemporary outdoor furniture displays alongside a varied programme of talks and demonstrations. 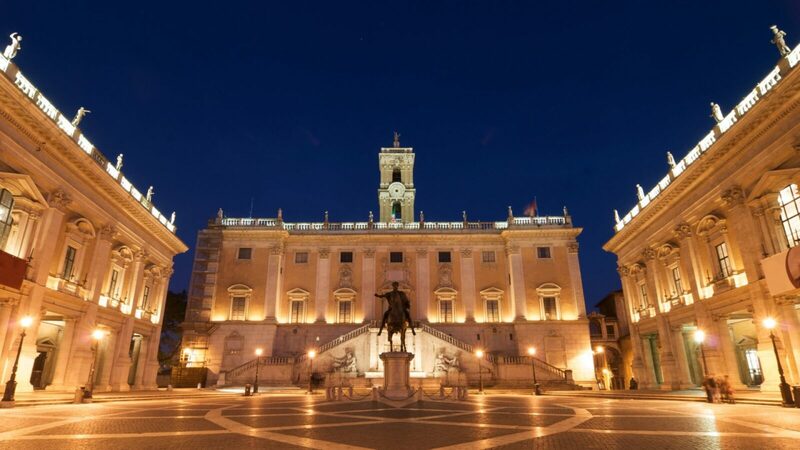 The Italian capital joins 30 major cities across Europe in extending the opening hours of their cultural sites to 2am. 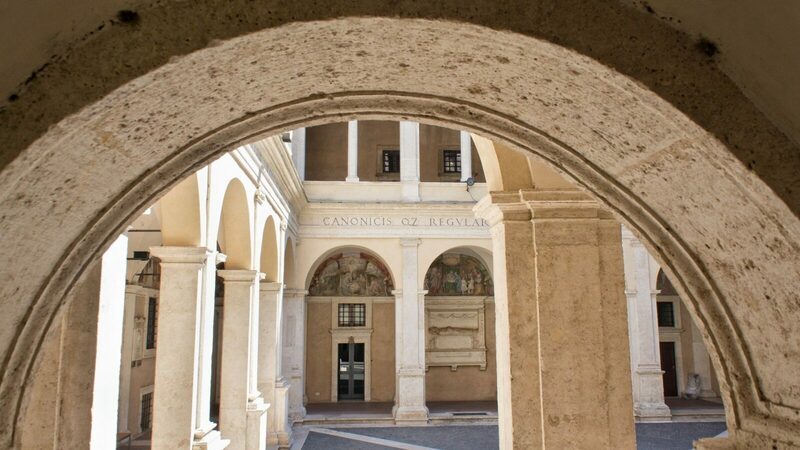 More than 50 museums, galleries, universities and libraries – including the Capitoline Museum, Maxxi, National Gallery of Modern Art, Chiostro del Bramante and University of Rome – open their doors to the public for a cursory entrance fee of one euro. One of the most glamorous events in Rome’s social calendar, the Rolex Grand Prix is a white-knuckle four days of against-the-clock horse races. Alongside the action, enjoy a lively programme of entertainment, and don’t miss the final on Sunday, where the world’s finest jockeys and their steeds race neck and neck to claim the prestigious cup. Filling the Cloister of Bramante, Dream: L’arte Incontra Sogni leads visitors through a sequence of site-specific works redesigned for the interiors of Donato Bramante’s beautiful Renaissance architecture. Dream centres around the mysterious realms behind our closed eyes, encompassing themes of sleeping beauties, mysterious creatures and dreamy abstract scenes. Rome’s Festa della Primavera celebrates the change of the season and rings in the arrival of spring with authentic Roman flourish. The al-fresco festival is held each year in the Eternal City, its historic streets and landmarks hosting a vivid programme of concerts and plays. Fragrant azaleas line the Spanish Steps and live entertainment sparkles alongside the Tiber. 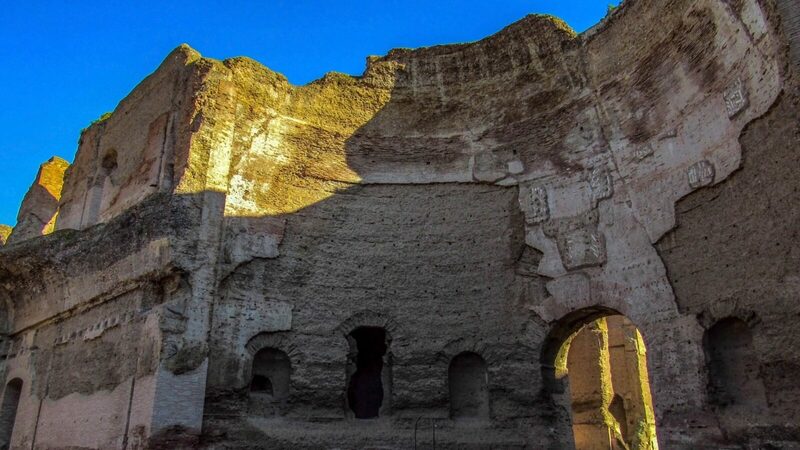 The Baths of Caracalla were monumental public baths in Ancient Rome, completed in 216 CE. These days, the enormous, beautifully preserved ruins are a unique atmospheric setting for a series of live musical and theatrical performances. This summer presents an indulgent range of opera and ballet, including concerts performed by Teatro dell’Opera. Against the backdrop of the shimmering Tiber, Lungo Il Tevere presents a flourish of music and culture, served alongside a generous array of gourmet street food and sophisticated cocktails. Pop-up stalls bristling with one-off artisan wares and cafés serving delicious Italian fare line the banks of the river, while jazz and comedy acts provide the live entertainment. Rome’s annual summer film festival flickers across the big screens of Isola Tiberina between June and September. L’Isola del Cinema presents a compelling mix of independent films, documentaries and classic favourites alongside interviews, debates and panel discussions. Considered one of Puccini’s greatest works, the three-act opera is set in 1800 as political chaos rages around Rome. Cesare Angelotti, a former consul of the short-lived Roman Republic, escapes imprisonment but is hunted down by a tyrannical chief of police. This results in catastrophe for the painter and republican sympathizer Mario Cavaradossi who aids Angelotti and the painter’s lover, Floria Tosca. 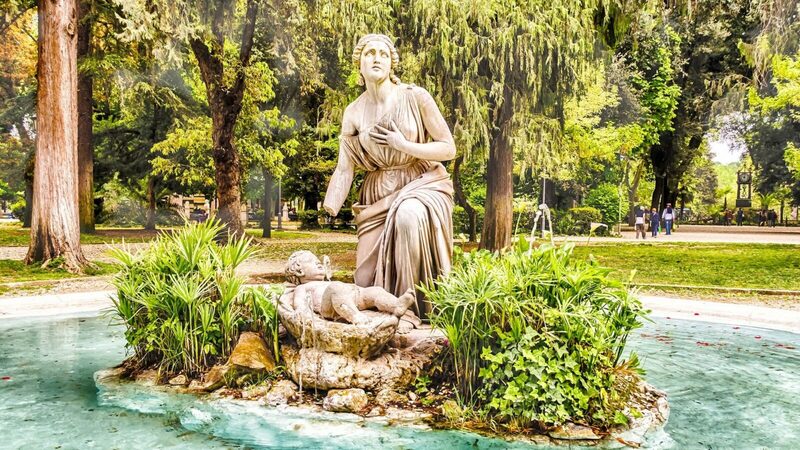 Entering its 26th year, “Rome meets the World” takes place in Villa Ada, the city’s second-largest public park. Set on the banks of the lake, the festival is one of the season’s most anticipated summer events, welcoming music from all over the world. Despite its novelties—inventive food and drink, agricultural workshops—nothing beats its sunset views on a warm evening. With its star-studded cast of international headliners, Rock in Roma has continued to attract the city’s largest summertime crowds since its inaugural event in 2002. This year, it joins forces with another of the city’s big hitters, Roma Summer Festival, to bring music fans an unmissable series of huge-name concerts, including Kraftwerk, Skunk Anansie and Thirty Seconds to Mars. Working in collaboration with Vogue Italia to showcase the brightest up-and-coming talent in the Italian fashion world, Rome’s biannual fashion week continues to redefine what ‘Made in Italy’ means. AltaRoma’s Who’s On Next shines the spotlight on the next generation of designers, while fashionistas and style influencers anticipate next season’s sharpest looks. 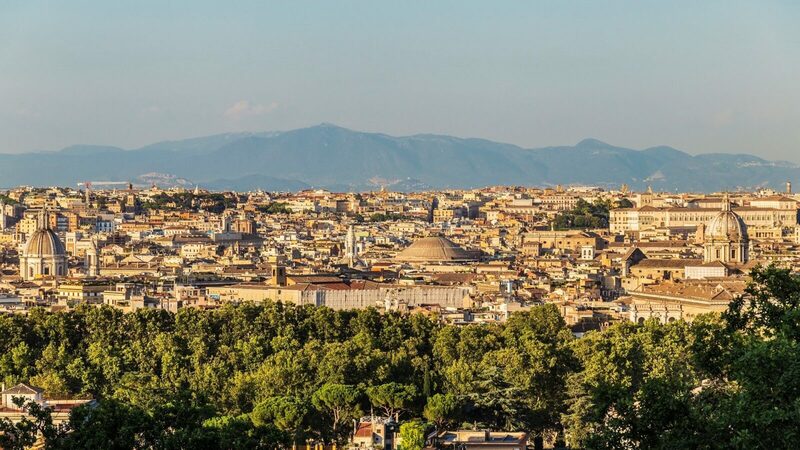 A fresh edition of Gianicolo in Musica reverberates from Janiculum Hill on summer evenings until mid-September. 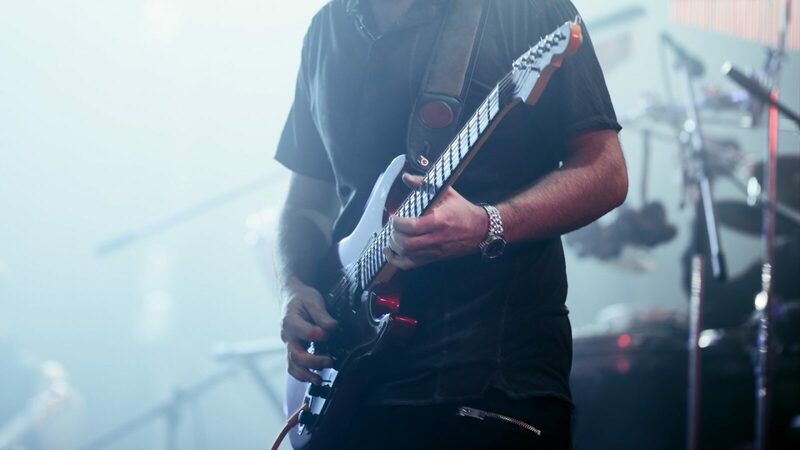 The outdoor music festival offers a foot-tapping programme of jazz, blues, swing, soul and tango, strummed by talented local and international musicians, and set against sweeping vistas of the Eternal City at night. Performing inside a replica of the Globe Theatre within the gardens of the Villa Borghese, the annual Shakespeare Festival returns to Rome. There are few spots more picturesque than the open-air theatre for taking in the famed English wordsmith’s endearing comedies and woeful tragedies. Those in the know arrive early, to fit in a wander around the expansive estate. Classical musicians from Italy and further afield treat visitors to beautifully rehearsed concerts in the archaeological site around the Teatro di Marcello every night between July and October. Before the show, take a guided tour of the Porticus of Ottavio, the Teatro di Marcello, which was completed in 13 BC, and the Tribuna Campitelli. 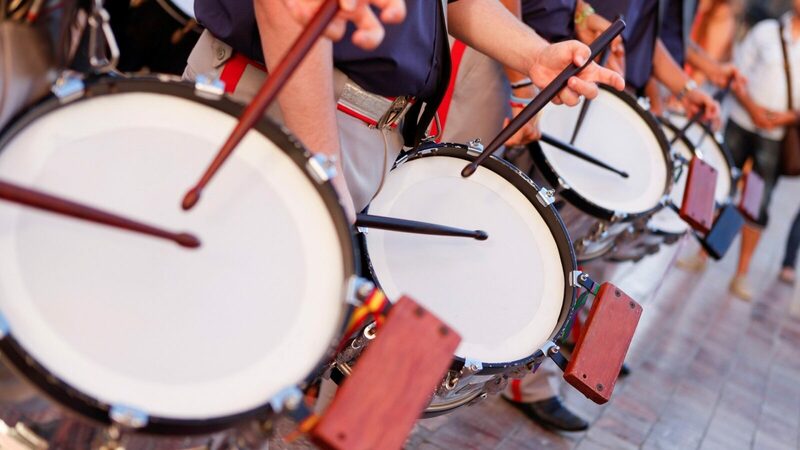 Held annually in Rome’s Trastevere neighbourhood, religious services, processions through the streets and lots of high-spirited music make Festa de’ Noantri a beautiful example of Roman piety. Food and drink stalls pop up in the area, concerts are performed, and locals celebrate the neighbourhood’s patroness—the Virgin Mary—in true summertime style. 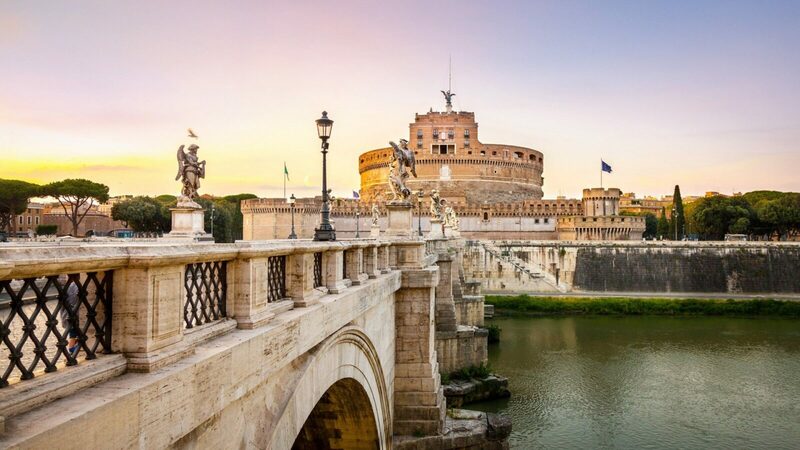 An imposing ancient Roman fortress in the heart of the city, Castel Sant’Angelo has had many different uses: a mausoleum for Emperor Hadrian, a prison, a safe house for the Pope, and now, a museum turned concert venue. This summer, the historic monument hosts a number of classical concerts that make use of the lovely setting as well as the balmy summertime weather. The historic Baths of Caracalla—among Rome’s most enchanting ancient ruins—are the stunning backdrop to the Corpo di Ballo’s production of classic Shakespearean tragedy Romeo and Juliet. Beneath starry skies, expect immaculate choreography and stunning costumes before a teary final curtain. 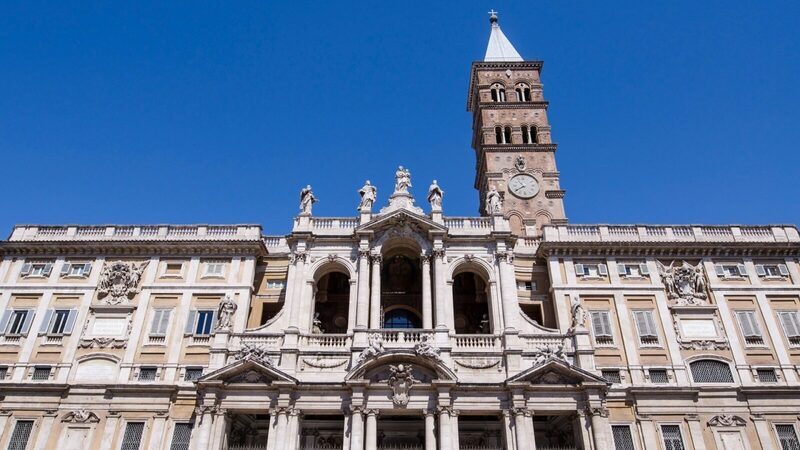 August 5 is a magical date to be in Rome: the Basilica di Santa Maria Maggiore is dusted with ‘snow’, despite summer’s soaring temperatures. The annual tradition uses tiny flower petals to replicate the snow that—legend has it—miraculously fell here in the summer of AD 358, to mark where to build the Basilica. 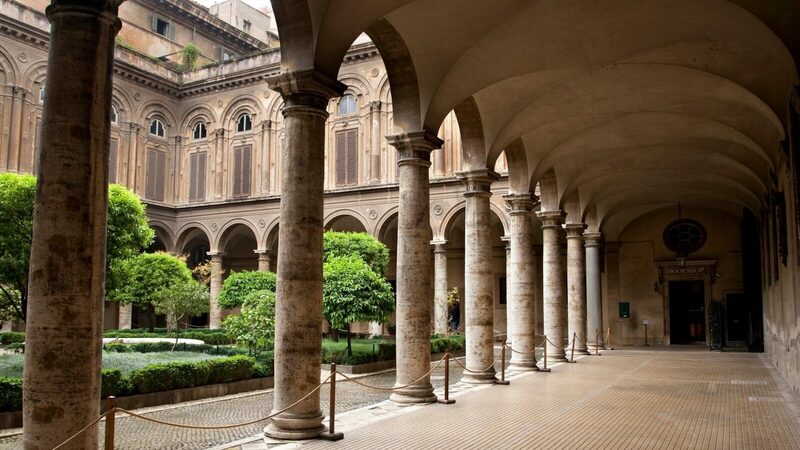 For an exclusive glimpse of a large private collection of statues, paintings and furniture collected by the Doria Pamphilj family, take a tour of the Palazzo Doria Pamphilj. Among the many masterpieces on display is Velázquez’s 17th-century Portrait of Pope Innocent X, widely considered one of the world’s finest portraits. After the tour, the palace’s grand walls provide the perfect acoustics for a private Baroque concert. 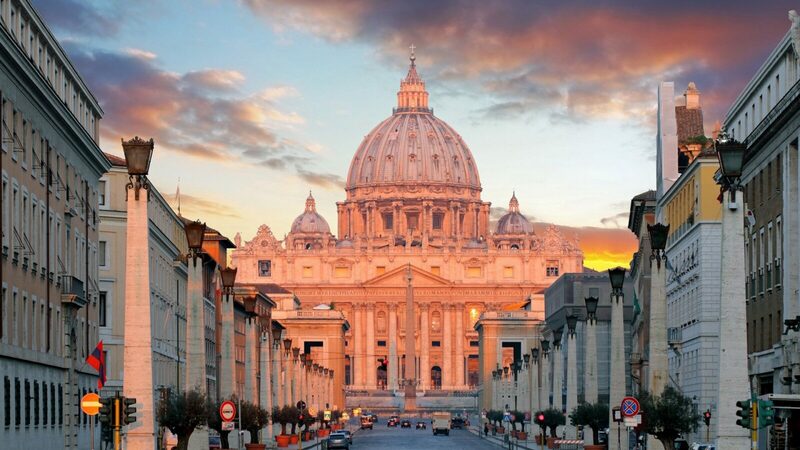 Explore the nocturnal ambiance of the Pope’s museums, including the Gregorian Egyptian Museum, and Galleries of the Candelabra, Tapestries and Geographical Maps. The vivid frescoes lining the Borgia Apartment are certainly memorable, as is, of course, the grand opulence of the Sistine Chapel, which is beautifully lit after dusk. The tour is available from 7pm until 11pm, allowing plenty of opportunity to explore. The Ara Pacis is an altar dedicated to Pax, the Roman goddess of peace, dating back to 13BC. In this innovative exhibition, the Ara is brought to life in full colour through virtual reality. Participants don augmented-reality goggles for a full immersion in the Italian capital’s history to discover how the Ara looked in ancient times, with its vivid murals illustrating the rise of Rome. 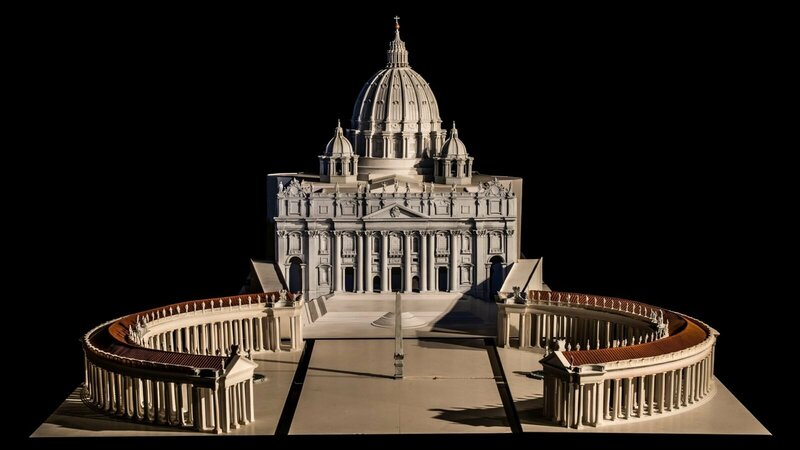 A multi-media display of maquettes, film and holographic imagery invites a deep immersion into the drama of Rome’s nearly three millennia of history. Projections onto walls and ceilings animate the Italian capital to demonstrate its colourful evolution into a buzzing modern metropolis, with detailed 3D models offering an opportunity to observe the city’s architectural blockbusters in the round.